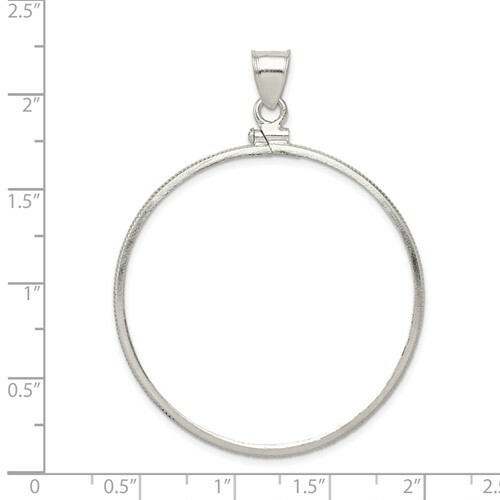 This 40.6 x 3.1mm plain coin bezel pendant with screw top is made of sterling silver. Fits 1 oz walking Liberty dollars, 1 oz silver American Eagle coins, 1 oz Chinese Silver Pandas, 1 oz Australian Silver Kookaburras and 1 oz Australian Silver Koalas. 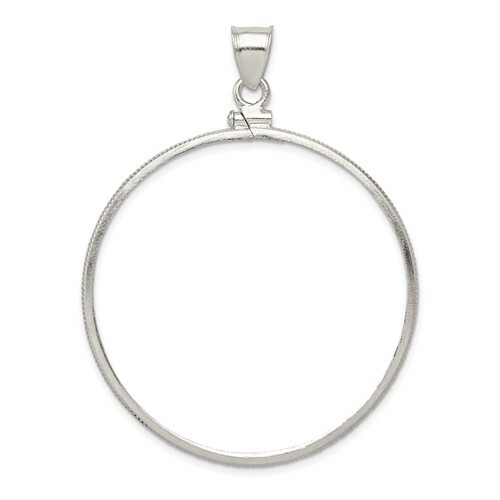 Fits up to a 3.5mm wide chain. Made in the USA.